Welcome To Our Complete Guide To Dog Blankets. 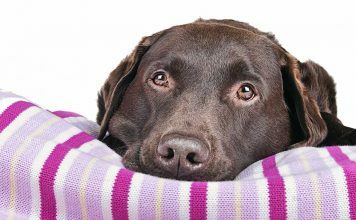 Including Reviews Of The Very Best Dog Blankets For Pooches Of All Shapes, Sizes And Comfort Needs. Have you ever brought home what you hoped was the perfect fleece dog blanket, dog car blanket, or dog heating blanket – only to have your pup turn his nose up at it? 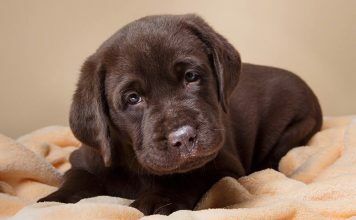 Our precious pups seem to have minds of their own when it comes to what they want and expect from their dog blankets! Or maybe you have multiple canines who require their own personal dog blankets. Mambe Waterproof Bed bed, large, waterproof, light weight, silent. You can find out more about these and plenty of other options in the review section below. Whatever your dog desires from his blanket, you’re sure to find a suitable choice. I don’t know about you, but my pets are my fur babies. I want to get them the best, safest and comfiest bedding I can. Fortunately, when it comes to blankets for dogs, the selection has never been better. Today you can buy blankets that are labeled indestructible, luxury, heated or waterproof. There are even personalized dog blankets if your pooch prefers! No matter how or where your dog likes to stretch out, there is a blanket for him! 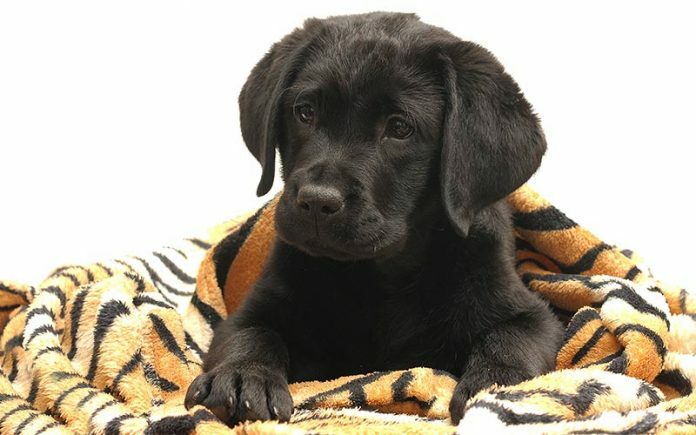 Let’s take a look at some of the most popular, best reviewed dog blankets on the market today. Dogs love car rides, but we pet parents don’t always love the mess they leave behind! If your BFF spends a good amount of time riding with you, then you both deserve a blanket specially made for traveling. The top-of-the line Epica Luxury Deluxe Pet Car Seat dog cover is plush, quilted and machine washable. 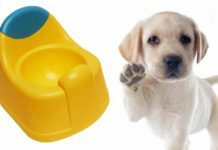 It securely fits over the entire back seat, and comes with a plastic underside that will give you peace of mind if your dog is prone to accidents or soggy paws. The cover is available in black and quickly attaches to the seat belt system and headrests. Best of all, the company offers a money back guarantee if you, or Fido, aren’t completely satisfied. Find out more on Amazon here. This versatile Waterproof Dog Hammock car dog blanket is designed to be compatible with nearly all cars, trucks, SUVs and vans. The triple layer, canvas-look, black cover can be used either as a seat blanket or hammock. It comes with an anti-slip bottom and is machine washable. 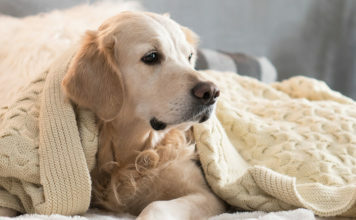 If your dog hasn’t been bitten by the travel bug, and instead prefers to be a couch potato, there are plenty of blankets for him to snuggle in too. This stylish Petmaker Couch Cover Blanket protects nearly every inch of your couch, including the armrests. Oh, and did we mention that the clever design has pockets for storing your remote, magazines, etc too! It only comes in tan, but it’s available in three sizes: couch/sofa, love seat and chair. The perfect choice for covering multiple furniture pieces in a coordinated design scheme, especially if you have more than one dog. This versatile KritterWorld dog blanket can be used anywhere. But we think it would be a lovely addition for the couch. Its multipurpose use is perfect for anxious animals who would benefit from using the same house/travel blanket. And the soft, snuggly finish will have most dogs happy to relax on it. The stylish blanket is reversible, with a distinct texture and color on each side and measures a generous 45″ x 30″. 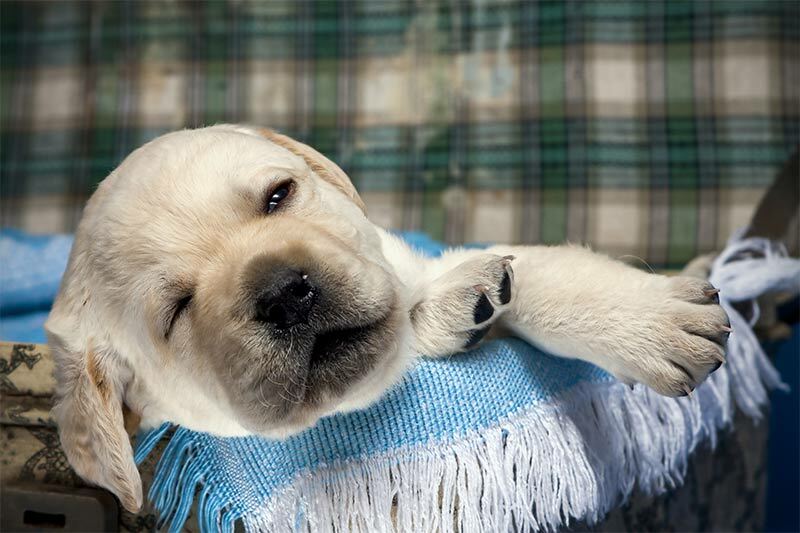 Cats are notorious for sleeping all day, but your dog comes in a close second, requiring upwards of 14 hours of sleep each day. 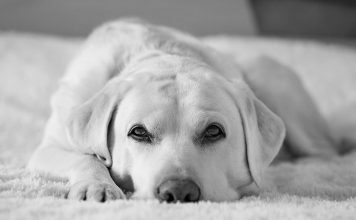 Just like you and I, dogs need an adequate amount of sleep and rest in order to feel their best and remain healthy and happy. 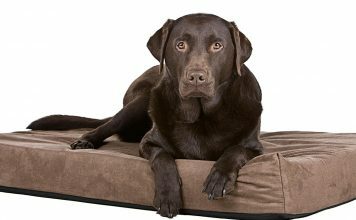 If your pooch likes to get some of his zzz’s in bed beside you, here are two excellent choices to consider for a dog bed blanket. This innovative Mambe Dog Blanket is waterproof, machine washable and designed with humans in mind as well! It comes in four popular sizes (including king/queen) and four reversible color choices. Plus the “silent” microfiber promises to be quiet in the dead of night no matter how much your pooch wiggles. A good alternative is the Paws Off Fleece Protective Bed Cover. This dark bed cover fits a queen size bed, and keeps your bedding protected by strapping down with discrete elastic garters. 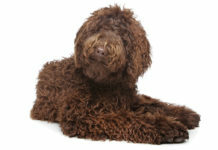 It is also think and durable, with properties that attract your pup’s hair. So it stays on his mattress instead of walked around the house. You can find out more on Amazon here. 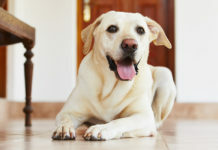 Are you a multi-pet household? If so why not get each fur baby his or her own personalized dog blankets? Or just show off your pup’s cute name to visitors with these fun personalized dog blankets! These soft, Custom Catch Personalized Dog Kennel mats come in two sizes and in a rainbow of colors, each with your dog’s name splashed across the front. They’re machine washable and the large size can double as a crate blanket (up to 36 inch size carrier). Check them out on Amazon here. Dogs love fleece so what better way to show your bestie that you love him than with a cute, comfy fleece blankie? This polyester, ultra-soft, warm PAWZ Road Pet dog blanket comes in three sizes and colors. Just for fun the blankets are embellished with adorable textured polka dots. 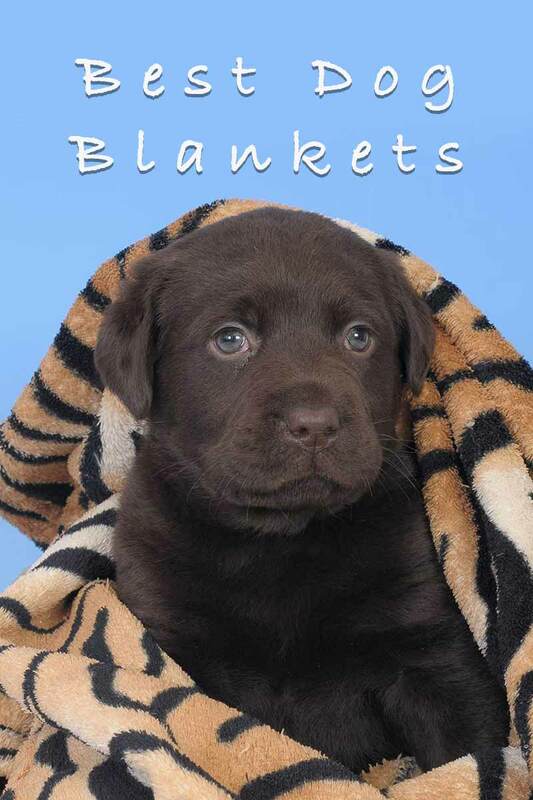 It’s one of the most highly rated dog fleece blankets, and comes with a bargain price to boot. Do you have puppy paw prints on your heart? 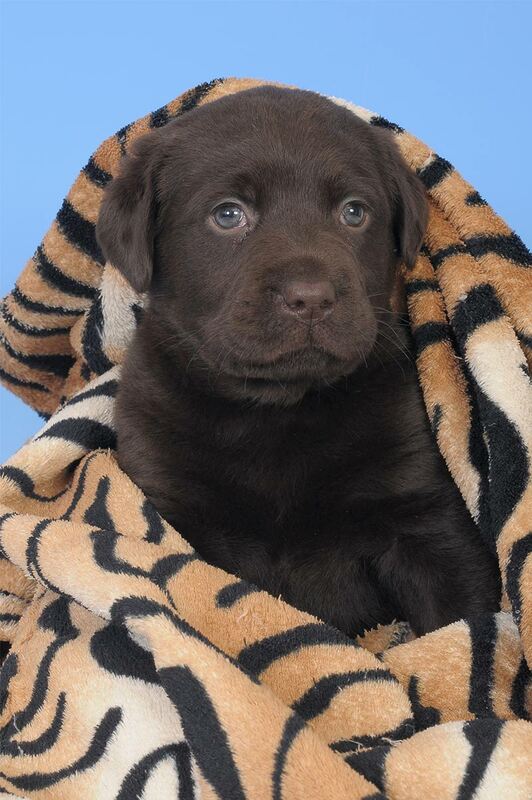 Why not gift him with his very own paw print fleece blanket? The Bogo Brands Fleece blanket has a sweet, simple design that would compliment any dog’s bed. The ultra-soft fleece cover comes in three neutral colors, and is around 3”x2”, perfect for your little rascal. If staying cool is an issue for your pup, why not try a cooling blanket for dogs? This attractive Whalek Cooling Mat cools itself with the pressure of your dog’s weight, it’s interior gel is non-toxic, and it’s waterproof. It’s suitable for use on a variety of surfaces including carpet, hardwood floors, concrete, and couches. With a variety of sizes and tons of positive reviews, this Green Pet Shop Premium cooling blanket for dogs is a superior choice. The cooling effect, which wicks away body heat, lasts up to 4 four hours. And is activated by the pressure of your dog’s weight. 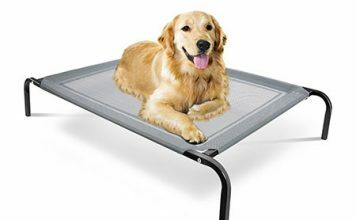 It can be machine washed and even dogs up to 50 pounds can fit on the mat comfortably. Dogs like warm laps to nap in, but a dog electric blanket is the next best thing! Heated dog blankets provide welcome comfort for dogs with joint or arthritic issues, as well as for senior and pregnant dogs. The cozy IB Sound electric pad reaches 102 degrees and comes in six delightful shapes and sizes. The removable, fireproof cover can be machine or hand washed and there are seven heat levels to choose from. The cord is chew resistant too, for added safety. Does your dog accompany you outdoors in chilly weather? Or does your house tend to get a bit cold at some times of year? If so your pooch will love the warmth that radiates from this K&H Orthopedic Heated Pad that’s designed for outdoor conditions. The MET listed, environmentally-friendly blanket uses just 40 watts of electricity and includes a one year guarantee as well as a convenient removable fleece cover. These large dog blankets are perfect for big dogs, or small dogs who who love to relax like a boss! This PetFusion Premium large dog blanket comes in four sizes, the largest measuring 60”x48”. The dense fibers are pull-resistant. And because it’s not too warm and not too light, the machine washable micro plush blanket can be used year round. Looking for a good value large dog blanket? Then check out the RZA dog bed cover. It’s a soft and comfy cover for your dog, which has the benefit of protecting your home or their bed from all of that fur! Machine washable and easy to dry, this is a convenient choice for most dog owners. Do you have a petite pup? These blankets are specially sized for smaller dogs. At 41”x31” this PAWZ Road Luxury double-sided velveteen blanket is perfect for small dogs and does double duty as a travel blanket. It’s nicely sized for a quick nap, and comes in your choice of four colors. When only the best will do, get your little pooch a soft but durable KritterWorld Sherpa blanket to rest her paws on. This compact but cozy dog blanket has a soft shearling-like side that’s complemented by a soft cover that’s available in 12 distinct colors. There’s no such thing as an 100% indestructible dog blanket (yet!). But these sturdy, multi-use dog blankets come awfully close! 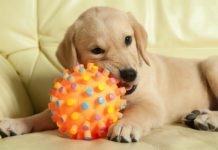 If your dog is a determined blanket chewer, then check them out. This unique, K9 Ballistics chew-resistant dog blanket comes in three sizes and two colors. The synthetic blanket is made to withstand your dog’s toughest stains, but the polyester fabric is gentle enough for an afternoon snooze. Does your dear dog need a waterproof blanket either because he’s a heavy drooler or prone to accidents? Fortunately, there are a few options for waterproof dog blankets that will do the job, but keep your pup comfy too. Whether he needs a bit of added protection in his bed, or you need some for your couch, here are a couple of good options. This protective, Mambe Waterproof Dog Blanket is made with polar tec fleece. It comes in multiple sizes and nine colors and designs. You’re sure to find a size and color that matches your needs. The American-made product comes with a lifetime guarantee and is machine washable. Why not take a look at Max and Neo’s Waterproof Dog Blanket. A thick fleece fabric on one side is cozy enough to snuggle on, and the thick, ripstop, nylon fabric on the opposite side is 100% waterproof. This resourceful dog blanket will stand up to your dog’s rough, tough ways, and still maintain a stylish appearance. It’s tear-resistant material means it can be used outdoors, and for every purchase the manufacturer donates one blanket to a dog rescue! 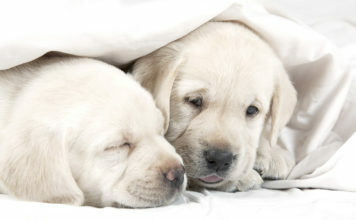 When only the best will do, may we suggest the following luxury dog blankets? This JoJo Modern doggie blanket is a generous 40”x50” and represents the ultimate in comfort and joy. No detail was spared on this super soft fleece blankie which comes complete with decorative edge stitching and color coordinated tie-wrap. When only the best will do for your dog, the adorably named BaaBaa blanket will have your pooch off to dreamland in no time. The fluffy soft fabric comes in a luxurious raised swirl pattern and there are five outer “faux fur” designs to choose from. Its portable size (15”x18”) ensures that your discerning dog has the best at home or away. Pink is a terrific color for any dog in blanket mode. Here are two of our favorites! Not only does this DII Bone Dry ultra-soft and comfy blankie come in a lovely shade of pink, it’s covered in a dog bone design pattern. It’s made of durable polyester microfiber and can be machine washed too. The bright Soft Pink Dog Blanket is accented with a bold black paw print design and will be a cheerful addition to any doggie bed. It’s available in small (16”x24”) and medium (24”x32”) sizes and features rounded corners and decorative side stitching. Do you like the color grey or simply want a blanket to complement your dog’s coat? Then why not give these grey options a try! This slate grey, PetFusion Premium micro plush blanket comes in four sizes, all with luxurious quilt stitching. The reversible cover features lighter and darker shades of graytone and is fully machine washable. This silky smooth, BarksBar Original micro plush, throw-sized blanket is perfect for small to medium sized dogs. It has a convenient removable cover that is 100% machine washable. 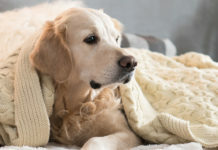 Whether your faithful companion prefers a dog throw blanket, a luxury dog blanket, a car dog blanket or even a dog print blanket, you can see that there is a product to meet his every need! Every dog deserves her own blanket! Sometimes a dog blanket does double duty and is not only comfy but also serves a special need. 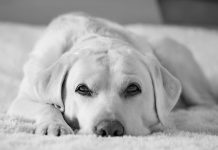 We hope our specialized reviews helped you to zero in on the perfect dog blanket to meet your best friend’s wants and needs. Of course, the best dog blankets are a matter of opinion: Let us know yours in the comments below!